Cameras, whether it’s a simple point-and-shoot or professional DSLR camera, may cost a fortune. We know the words “cost a fortune” is quite an exaggeration, but it’s true. You may spend a big amount of your hard-earned money to a single camera. But some says that doing what you love doesn’t have to cost you dearly. This saying becomes a reality when camera sellers started to offer camera bundles. A best Canon T6i bundle where every accessory you need for your photo shoot is included. The only question is, what’s the type of accessories do we need to look for in the bundle? The answer to this question will always depend on the photographers’ line of work. But the most common accessories that every professional or aficionados’ must-have are reliable lenses, memory cards, tripods, flash, camera bags and cleaning tools. The table below will show the comparison of 2 of the best Canon T6i bundle. Lenses: The first lens is Canon EF-S 18-55mm f/3.5-5.6 IS STM Zoom Lens – this is a standard zoom lens that delivers good image quality and AF is working satisfactorily. The only disadvantage of this lens is its’ body is built with all-plastic material and its AF system can’t keep up with fast-action subjects in Live View or Video mode. The second lens is Canon EF 75-300mm f/4-5.6 III Telephoto Zoom Lens – this lens has an aperture range of f/4-5.6. With this, you can take a good control over the depth of field. Also, this lens is advantageous in shooting for a long-range photography, like sports. The third lens is a 58mm .43x Super Wide-Angle Lens with Macro Attachment – this lens delivers a decent image quality with no distortion. Build-wise, it wasn’t made with cheap materials, so you can assure that you can use it for a long period of time. The only disadvantage of this lens is, you can’t use the 58mm .43x Super Wide-Angle lens by itself, unlike the macro attachment. Lastly, the 58mm 2.2X High Definition Telephoto Lens – this lens can shoot infra-red and macro, and at the same time eliminates ghosting and glare. 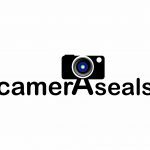 Many enjoy using this because it’s easy to mount on its compatible cameras and camcorders. Memory card: SanDisk 32GB Ultra SDHC UHS Class 10 Memory Card (with reading speeds of up to 95MB/s). This memory card is also compatible with compact-to-midrange point-and-shoot digital cameras and camcorders. Tripod: one is from Ritz Gear that has a maximum length of 57″; while the other is from Polaroid and has 8″ Heavy Duty Mini Tripod. Flash: Pro Slave Flash that includes a mounting bracket. Camera bag: Ritz Gear Deluxe Premium SLR Camera Bag is designed with a removable shoulder strap carrying handle, 4 outside pockets and webbed inside pocket, and removable dividers that’s good for small part accessories. Cleaning tools: 5-piece deluxe cleaning tools. Other accessories included are filters set, Polaroid Wireless Shutter Release Remote Control, Polaroid Memory Card Wallet and LCD Screen Protector. Lenses: The first lens is EF-S 18-55mm f/3.5-5.6 IS STM Lens – This lens features an enhanced lens’ Optical Image Stabilizer system that’s advantageous in handheld photography, and its’ AF motor helps quieter and almost silent operation. The second lens is 58mm .43x Wide Angle lens – this high-definition lens is great for capturing landscapes area, confined spaces and group photos. If you’re into close-up photography, this lens has the capability because it includes a macro extender. Lastly, 58mm 2.2x Professional Telephoto Lens – this lens can be attached directly to any camcorder or camera that has a 58mm filter thread without changing any functions of your camera. The 2.2x telephoto lens is the magnification that increases the zoom power of your current lens setting. This will allow a closer opportunity to your subjects. Memory card: SanDisk Ultra 32GB SD Cards with a read speed of up to 80 MB/s. This memory card is designed with weather seals such as waterproof, temperature-proof, X-ray proof, magnet-proof, and shockproof. Tripod: The tripod included is a 12-Inch Spider Tripod. Flash: The Digital Slave Flash unit is small, portable and can work as a remote slave unit or with a DSLR’s built-in hot shoe mount. Camera bag: Focus DSLR camera bag is big enough to carry all the accessories you want to bring for your travel. Cleaning tools: 5-Piece cleaning kit with additional items of lens cleaning pen, all-in-one High-Speed USB 2.0 Card Reader, 6FT Mini HDMI Cable and other must-have essentials. Other accessories included are UV Protective Filter, Circular Polarizer filter and an FLD Fluorescent filter; and a wireless shutter release remote control. Overall, this bundle is good for photographers with advanced skill level. But for those enthusiasts who want to explore this T6i bundle, Focus Camera also offers a starter kit as well. Using the right tools is one of the major factors in having a fruitful career in photography. With the help of the gears mentioned above, either of the 2 bundles, will certainly make that possible. If we have to recommend one for Canon T6i, it will be bundle 1. We chose this because it offers more accessories that have an actual help to improve your skill or achieve your perfect shot. The lenses included are user-friendly and versatile to use in different types of photography, the camera bag is big enough to fit all the accessories you needed for a shooting trip and yet portable, the Pro Slave Flash includes a mounting bracket so you can easily attach it to your camera, and lastly, it includes 2 tripods that you can use for various shooting situations.